The R7 is a fully flush system (both inside and out). 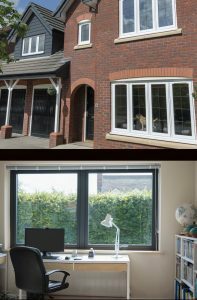 The windows and doors have been designed to suit either a modern property by offering a contemporary look, or as a timber alternative product for the more traditional looking home. 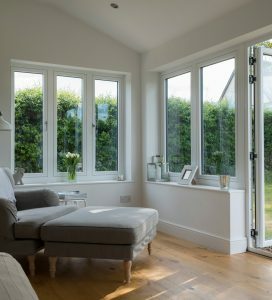 With a frame depth of 75mm, as opposed to the 100mm of the R9 products, these windows and doors are deemed to be more installer friendly when fitting to a smaller rebate. Furthermore, the 7 chamber design offers superior thermal, acoustic, strength and security performance. The R7 from Climatec will be manufactured with three joint options. Choose the fully mechanical option with glass bonded units, opt for sashes with our ETL welds, or just go for a fully welded product.